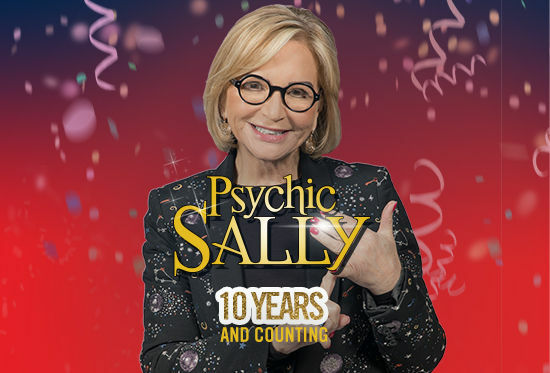 World renowned psychic, television and theatre star Sally Morgan brings her interactive 10 year anniversary show to Bradford. Sally is one of the Uk’s most successful touring acts and has been wowing audiences across the country for the past 10 years. Sally’s jaw dropping show has attracted amazing reviews from theatre goers and psychic fans. The messages from beyond come thick and fast. Funny, entertaining, touching, sometimes heart-breaking, often controversial; The 10 year anniversary tour showcases the phenomenal ability of the nation’s best loved medium. Sally says ‘The shows will be psychic dynamite and although they are undoubtedly entertaining, there is also a very serious side, which is to give audience members messages of hope and love from the other side’. This is a unique evening not to be missed.